How do I install my smartphone on the tripod? Fully expand the tripod legs and the head to the maximum height. Screw the NodalArm on the tripod head. Attach the smartphone holder on the NodalArm. 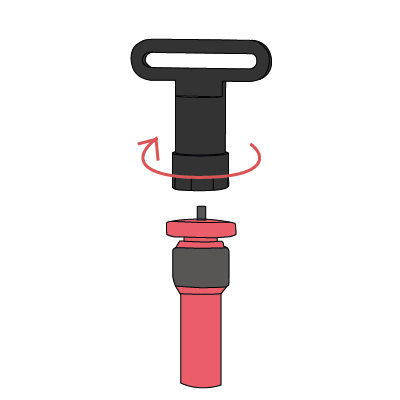 The screw should be on the rounded side of the NodalArm so that the holder is flush with the flat side. Mount the smartphone in portrait mode on the universal smartphone holder and make sure it is firmly attached. Ensure the lens is correctly centered : you should clearly see your smartphone’s lens in the center of the wide-angle lens. 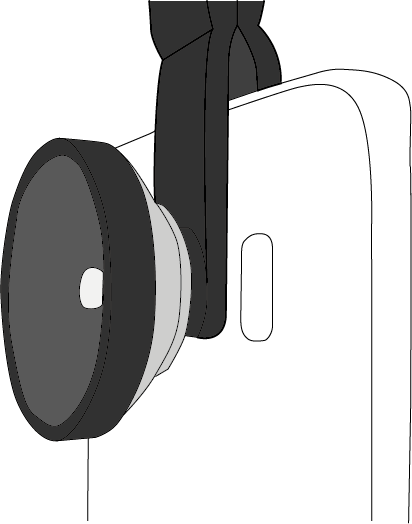 If this is not the case (for example, if your smartphone is black) of if you feel the lens is slightly slipping, you should consider sticking the adhesive white washer included in your pack. 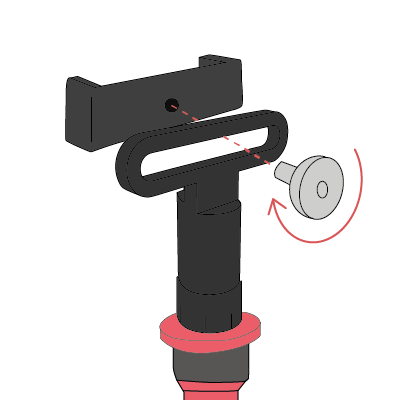 Adjust the screw horizontally on the Nodal Arm, to ensure that the center of the fisheye lens is aligned with the rotation axis of the tripod. 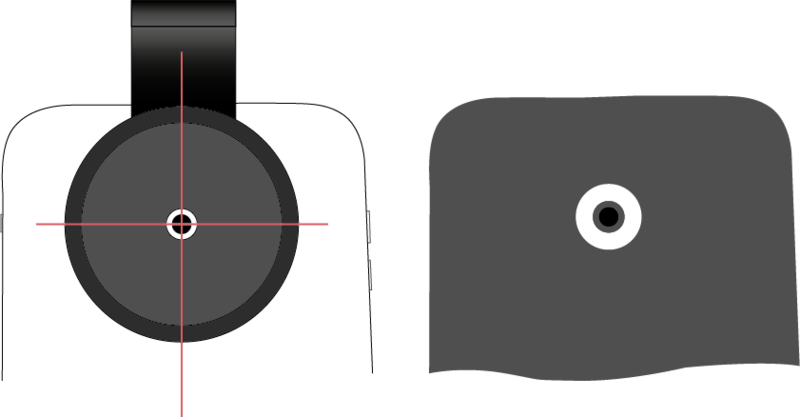 This is called adjusting the nodal point, and will vary depending of the position of your smartphone’s lens (centered, or in the left corner,…). This operation is done only once but should be repeated if you use another smartphone. Adjusting the nodal point is important in order to avoid assembling errors in your panoramas. You can remember the number on the scale, corresponding to your smartphone for later reuse. Launch the App in your smartphone and you are ready to shoot your first panorama.